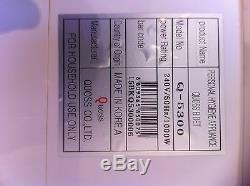 We are sole official dealer Quoss Korea in Australia. AUSTRALIA A/S CENTRE(0432 777 501). 1/6 Reserve st West Ryde 2114. 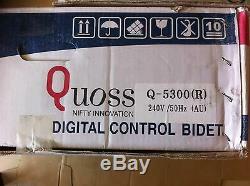 An exclusive sales contract has been entered between the QUOSS Co. Ltd(hereafter to be referred as Party A). And the WELLBEING LIFE (hereafter to be referred as Party B), agreeing on the following terms and conditions. Term 1 Purpose of contract. Party A and Party B make this contract for supplies and sales of the product. Term 2 Exclusive sales right. (1) Party A grants to Party B the right of sole distributorship for the sale of A's Products in the territory of Australia. Under the conditions of contract and Party B accepts it. (2) Party A shall not offer A's products to the above mentioned territory either through their branch or any other organization and individual. All the QUOSS products should be paid in T/T system. Term 4 Duty of Party B. Party B, during this contract, Will work to the best of the ability in order to introduce and establish the largest possible sales in the territory. Term 5 Duty of Party A. Party A, during this contract, (1) Work to the best of the ability in order to meet all the ordering requirements of Party B. (2) Provide all necessary Know-how, technical material, sales promotion, advertisement, manufacture information to Party B. (3) Provide all sorts of printed matter or all the data and materials to make printed matter after consultation with each other. (1) The sales quantity target should be one thousand pieces in the first year. (2) The orders from 2nd year shall be confirmed and accepted and the order should be total 2000 units a year, 500 units per terms. (1) If there are any malfunctions, Party B solves the problem itself, and Party A shall provide 2 %of parts to Party A for free of charge. However, malfunctions through installation and use carelessness are excluded. Other particulars that are not stipulated in this contract shall be complied with normal business practice To prove this contract, this contract is made and typed in two copies, given to each party. 09 Augst 2017 KOREA QUOSS; 501/53 250bungil kungiro seo ku Incheon 22835 AUSTRALIA QUOSS; 1/6 Reserve st, West Ryde NSW Australia 2114. 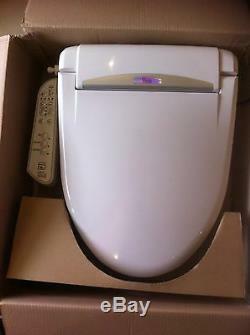 >>>>>>>>>>>>>>>>>>>>>>>>>>>>>>> WELLBEING LiFE (Best Bidet)<<<<<<<<<<<<<<<<<<<<<<<<<<<<<<<<<<<<<<<. Dimension ; 480(W)x510(L)x174(H)mm. The panel and manual language is English. Rear wash ; The wash alternates between a gentle spray and a forceful spray for a thorough wash. Feminine wash ; Provides gentle, smooth aerated water stream. Nozzle position adjustment ; Nozzles position can be adjusted forward and backward. Water pressure adjustment ; The water pressure of the spray can be adjusted. Pulsating (Massage) ; Serves massage stream of water. 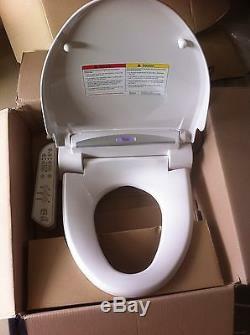 Heated seat ; Warms the toilet seat. Warm air dryer ; Dries the wet areas with warm air. 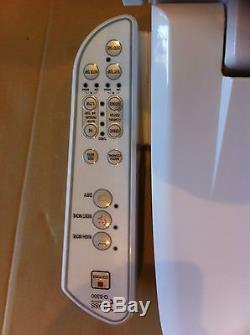 Temperature adjustment ; The temperatures of the water, toilet seat and dryer can be adjusted. Deodorizer ; Removes odor from the toilet bowl. 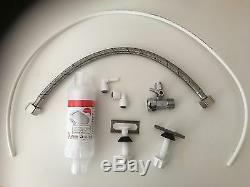 Self cleaning ; Before and flushing, the nozzles tip are automatically cleaned. 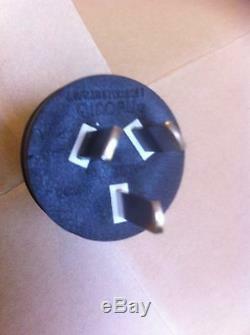 Power saving ; Power saving keeps energy cost effectively. Splash Guard ; Specially designed splash guard prevents water splashing during use. Easy detachable ; Newly designed mounting plate enables easy installation. Water supply ; Connected directly to cold tap water. The hot water is heated by the electric. And it customers make mistake on the product and it has it some faulties we will try to fix it at the Lowest price. 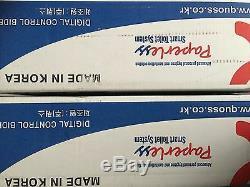 53-501,250Beon-Gil, Geonji-Ro, Seo-Gu, Inchen, KOREA. Any QUESTION or INSTALLATION in Australia. Mob;0432 777 501, Jim. Please call before you come. 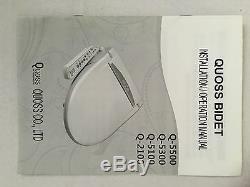 The item "KOREA New QUOSS Q5300 Digital Bidet Toilet Seat Washlet Dry Warm Electric" is in sale since Thursday, February 21, 2019. 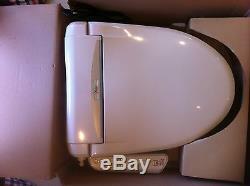 This item is in the category "Home & Garden\Building Materials & DIY\Plumbing & Fixtures\Bidets". 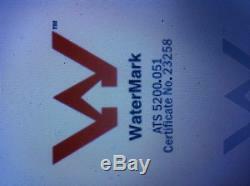 The seller is "jikwo51" and is located in West Ryde, NSW.